The major parties in Iraqi Kurdistan have agreed on a roadmap for a much-anticipated referendum on independence. Although a timeline for the landmark vote is yet to be set, the region’s leaders say it is Kurds’ “natural right” to secede from Baghdad. The Kurdistan Democratic Party (KDP) and Patriotic Union of Kurdistan (PUK) met on Sunday with Masoud Barzani, the long-time president of the Kurdish autonomous region, to discuss the practicalities of the independence referendum. A joint committee will now be set up to discuss the issue with the other parties of Iraqi Kurdistan as well as “to set the timing and mechanism to hold a referendum,” the statement said. A spokesperson for the KDP, Mahmud Mohamad, told Rudaw that it had already been agreed that the referendum would be held in 2017. 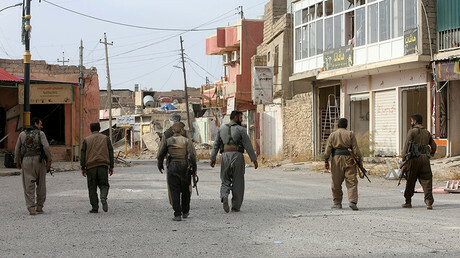 Kurdish parties will start talks with Baghdad and neighboring countries on the issue, he added. Calls for Kurdistan’s secession from Iraq gained impetus following Islamic State’s (IS, formerly ISIS/ISIL) offensive on northern Iraq. Baghdad-controlled forces abandoned some areas, which were then recaptured by Kurdish Peshmerga militia and placed under their control. 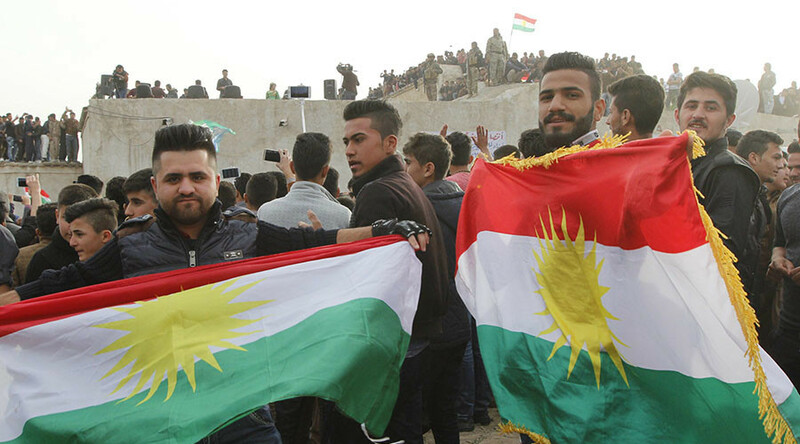 As the struggle against IS in Iraq gained pace, Kurdish leaders argued that it was the right time for Kurdistan to employ the right to self-determination. In October last year, Iraqi Kurdistan’s prime minister, Nechervan Idris Barzani, told German newspaper Bild that the Kurds will renew their push for self-rule once Mosul is liberated from Islamic State. “We are not Arabs, we are our own Kurdish nation... At some point there will be a referendum on the independence of Kurdistan, and then we will let the people decide,” he said. In early March, President Barzani predicted that Iraq faces the prospect of being split into two or more independent states, following the example of Czechoslovakia – a former socialist country which split in 1993 into the Czech Republic and Slovakia. However, Iraqi Prime Minister Haider al-Abadi expressed doubt that an independent Kurdistan would be able to function as a sovereign state. Separation “is not in the interest of the Kurdish nation,” he told Rudaw in an exclusive interview on Wednesday. “I am not with the separation of Kurdistan Region from Iraq, despite my belief in the rights of the nations for self-determination. But we are in the same country and in the same boat, that is why it is necessary for both of us to live together and help each other,” he said. While the US cooperates with the Kurds in the fight against IS, its regional ally Turkey – home to a sizeable Kurdish diaspora – is fiercely opposed to the idea of Kurdish independence. "We think this [referendum] would be a wrong step," Turkish presidential spokesman Ibrahim Kalin said last week. “We don’t find it right to bring this issue to the agenda at a moment when Iraq is passing through a fragile period and there are regional security risks in regards to our fight against the PKK [Kurdistan Workers’ Party] and Daesh [Arabic acronym for IS],” he added.